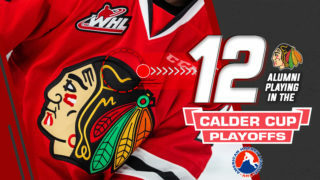 Ryan Hughes had five points and the Winterhawks buried nine goals against the Americans on Tuesday in a massive 9-0 victory over Tri-City. Hughes got the Hawks on the board first just 2:32 into the opening frame. Joachim Blichfeld found Hughes alone in the slot on the powerplay and he wired home his 13th of the season to make it 1-0. 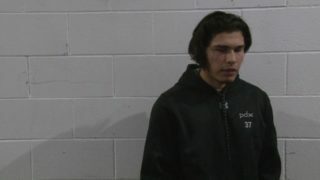 Just 1:14 later, Keoni Texeira fired home a slapshot on a pass from Conor MacEachern to give Portland a 2-0 lead less than four minutes in. 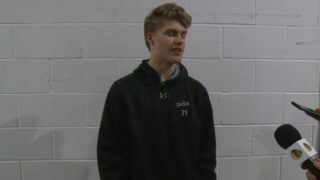 The Hawks weren’t done yet however, as Blichfeld and Hughes again connected. This time it was Blichfeld scoring, his 21st of the year, to make it 3-0 Portland. 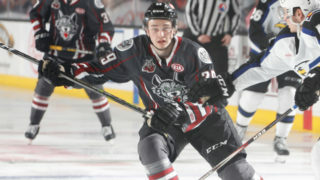 In second, the onslaught continued with Kieffer Bellows picking up his 33rd of the season just 3:28 into the second. Then, Brendan De Jong and again Hughes made it 5-0 Portland with under two minutes remaining in the second. With assists on both Bellows and De Jong’s goals, Hughes picked up his fifth point of the night. With 44 seconds left in the period, Bellows added his second of the night to make it 7-0 after two periods. In the final period, the Hawks just kept coming. 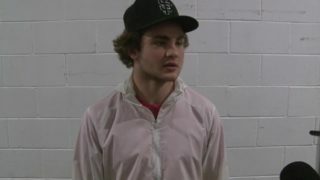 Cody Glass went five-hole on Beck Warm to make it 8-0, then Reece Newkirk buried another to give Portland a 9-0 lead. Winterhawks goaltender Shane Farkas was phenomenal all night long, eventually making 37 saves to record his second shutout of the season. Portland improved to 38-20-1-3 on the season. 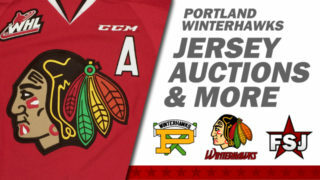 The Winterhawks return home Friday, March 2nd to play the Seattle Thunderbirds at the Veterans Memorial Coliseum. Tickets on sale here, and single game and group tickets now on sale.